The Pantry is opening its doors to offer food assistance to federal employees impacted by the government shutdown. Special food shopping hours will be held for government workers from 5 – 7 p.m. on Tuesday, January 22 and Thursday, January 24. No appointment is necessary, but government workers will be asked to show their Federal ID badges. Pantry offerings include a variety of fresh fruits and vegetables. Federal workers will have access to all the products that the Pantry has to offer – fresh and frozen foods including meats, poultry, fruits and vegetables, dairy products, eggs and bread. Other offerings include personal care items and essential household goods. They do not have to register formally as a client to access Pantry goods. There is no charge to use Pantry services. After next week, federal workers can access Pantry foods by making an appointment to shop during regular Pantry hours. To schedule an appointment, call the Pantry during the hours of operation at 508-528-3115. Here are directions to the Pantry. For more information on our services, visit our Get Help page. 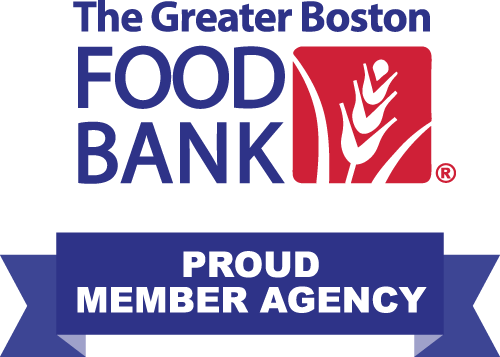 For a directory of food assistance programs serving eastern Massachusetts, visit the Greater Boston Food Bank website to learn more.